One of the greatest things that ever happened to extremely niche activities is matchmaking. There was a certain joy in rounding up 40 people in World of Warcraft raids back in the day, but I can't say I miss it. No, I like the idea of hitting a button and getting matched up with other people, whether it's instant (LFR) or gradual (LFG). 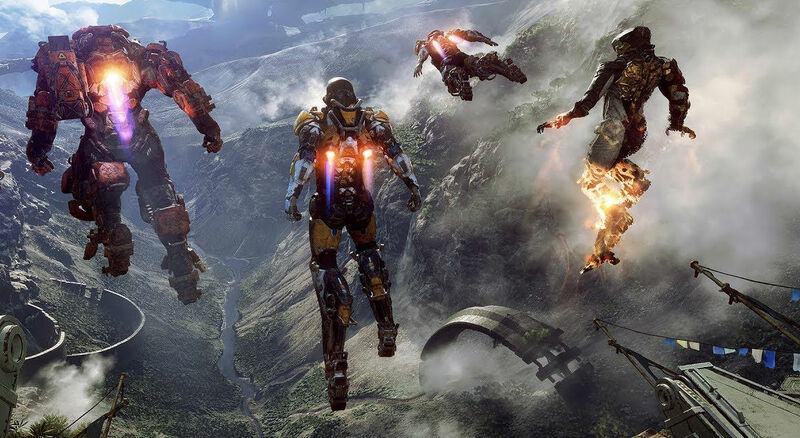 Anthem is going to have this by default for its raids when it launches next year. Speaking to fans on Twitter, executive producer Mark Darrah confirmed that raids will have matchmaking, and that the game will use a personal loot system that contains drops based on your current class. Before you say what Bungie has been saying for a while: "raids are too finicky for matchmaking," just know that pretty much every game with raids, including ones that are far tougher than Destiny's, have matchmaking. World of Warcraft, Final Fantasy XIV, you name it: they gradually added it, or in the case of XIV's Realm Reborn, had it at launch to get with the times. Bungie has experimented with matchmaking for raids for roughly a year with its "Guided Games" system, which has mostly been a bust. It's still in beta, it only matches people with certain criteria in mind, can take up to 45 minutes or more to actually get you in, and can completely boot people from the activity if anything goes wrong. Hopefully Anthem will fare better.